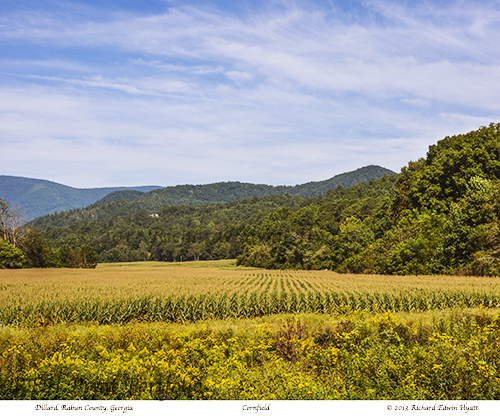 I have been watching this cornfield grow with interest, waiting for it to mature and the right day to shoot its image. And, hoping it would not be cut before I got the shot. Yesterday was the day and I took several photos of it. Today I printed 5-8x10 prints that will be available for sale as a matted print ready for framing for $25 each. In the near future I will be printing larger photos of this same field. Please, contact me if you are interested in purchasing any of my photos. These are printed on Epson Ultra Premium Photo Paper Luster.